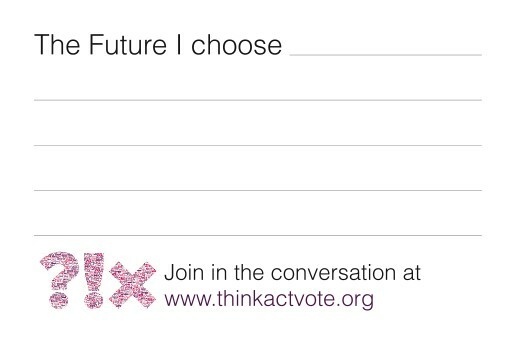 We are holding an alternative election in public and private spaces, asking members of the public to complete the following statement “The future I choose…..” and place their answers in the special Think Act Vote ballot box. We took it to the launch party we held this week at Ascension, and the guests loved it. 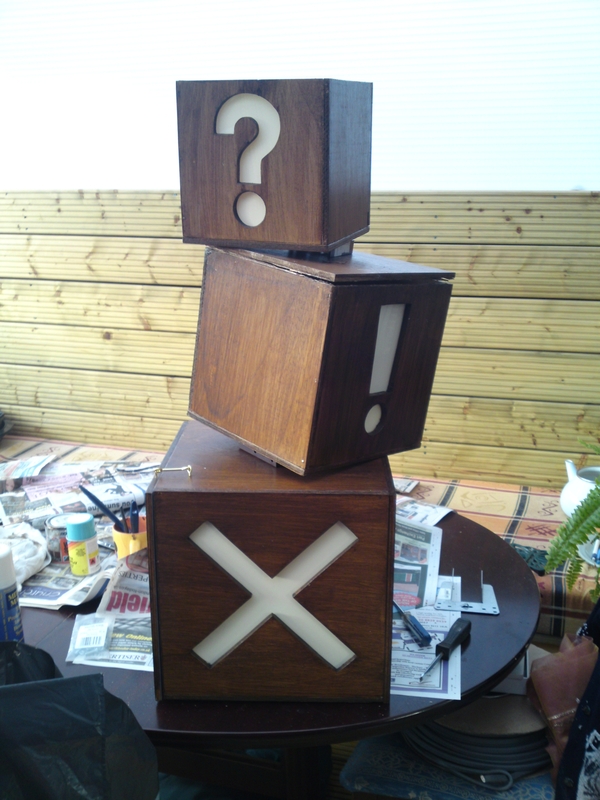 You place your ballot card through the X in the vote box. 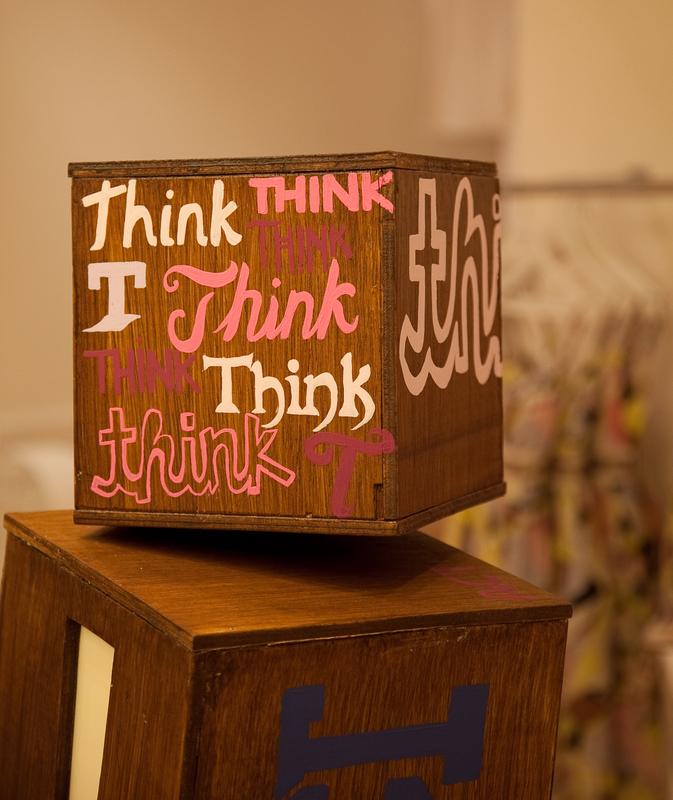 The Think Act Vote ballot box is currently in Ascension, the eco fashion boutique, 28-32 St Christopher’s Place, London W1N 1NZ. It will be there until Monday the 29th March. 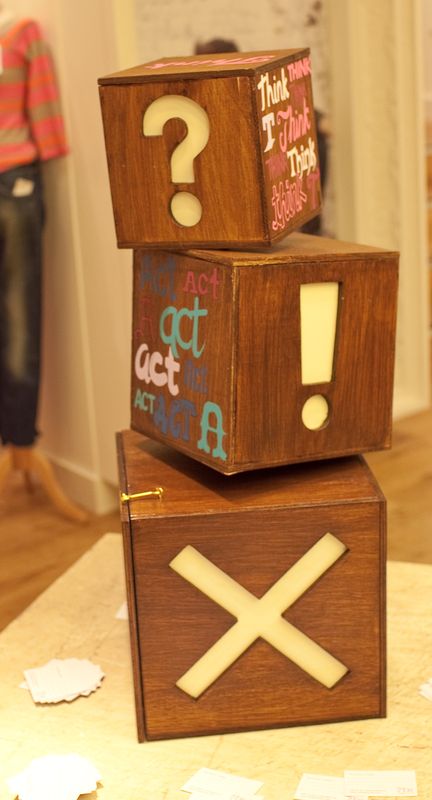 If you would like the Think Act Vote ballot Box to come to you, find out more. – What inspired you to come up with this design? 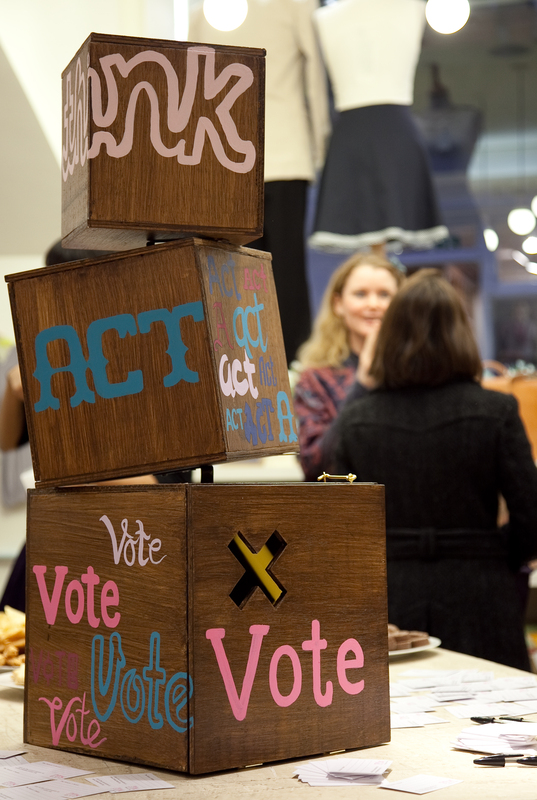 I wanted to put a spin on the traditional ballot box and create something that would take Think Act Vote away from political cliches and engage people more creatively. 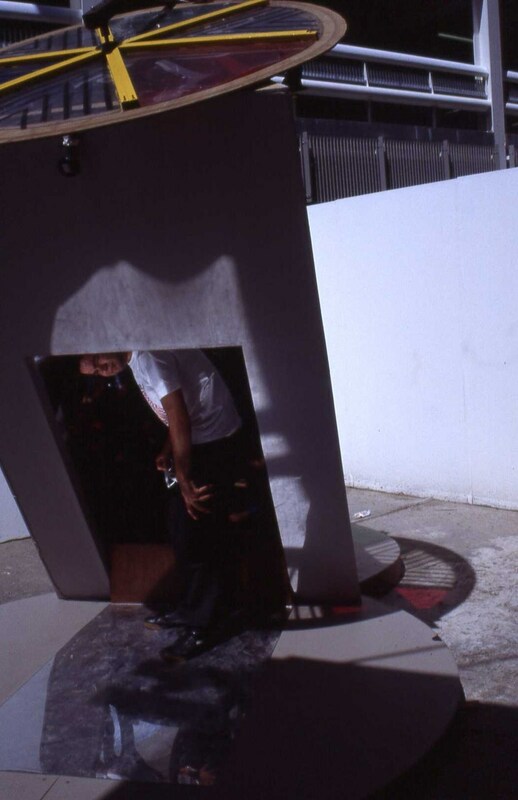 My work is usually kinetic and much larger, so it was interesting to produce something that was small (ish) and static. – Why do you want to support Think Act Vote? 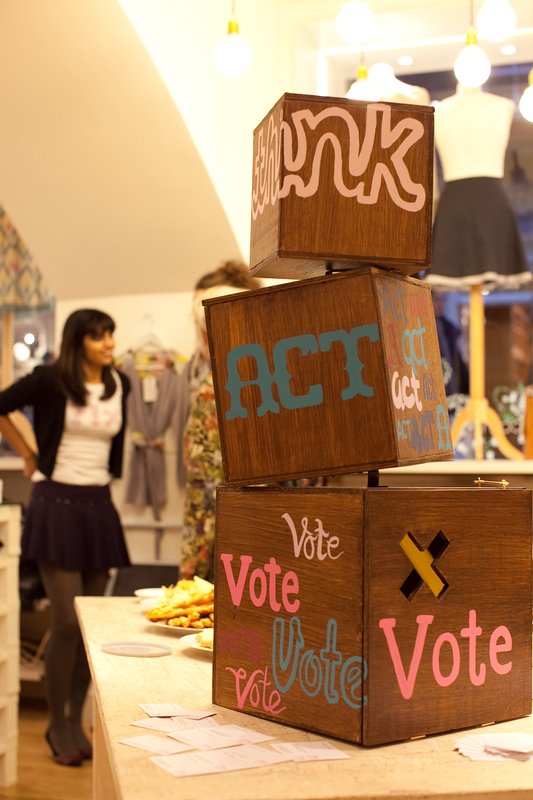 Think Act Vote is an open invitation and encouraging platform for absolutely anyone who cares about their future. Unlike other campaigns, it doesn’t have a hidden agenda or fixed gaze on a particular social group. I feel connected to something much greater and more positive as a result of this. 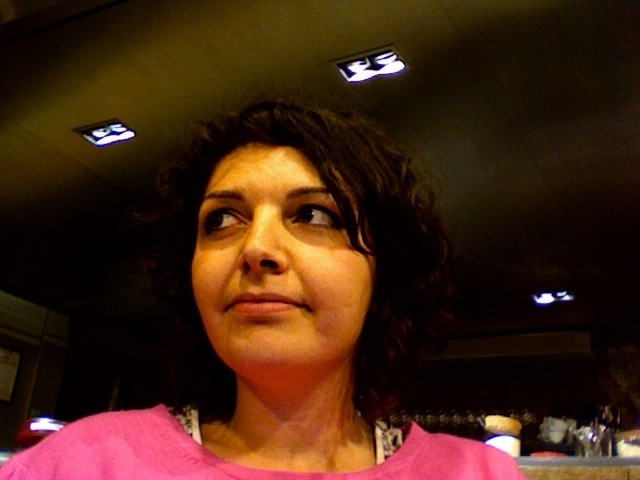 – Where can we find out about more of your work? My practice has slowed down since launching Unit 5 Studios as I have been focusing more on the organisational side of the arts and learning how to support other artists. 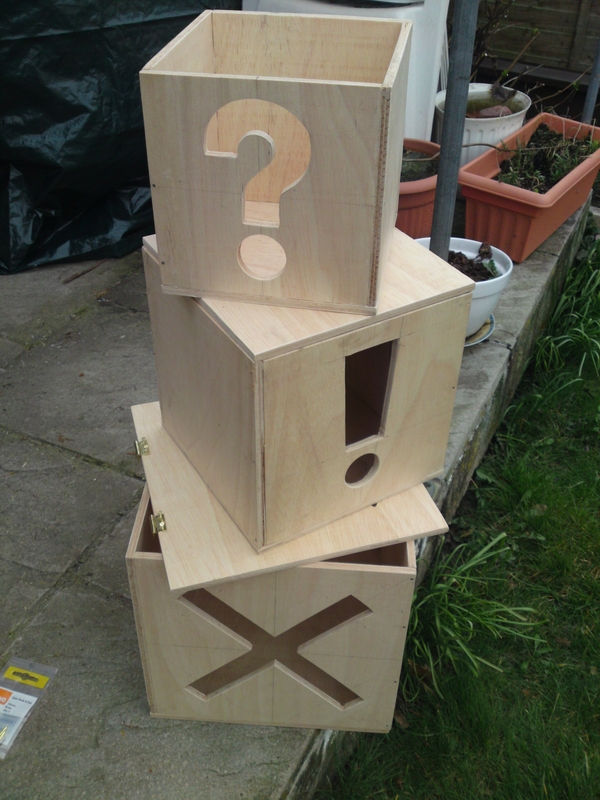 I am desperate to get back in the studio after the making the ballot box though and feel that it may be time to work on another kaleidoscope! 'Prototype', by Tuba Gorsoy Made from recycled bicycle, metal and plywood. 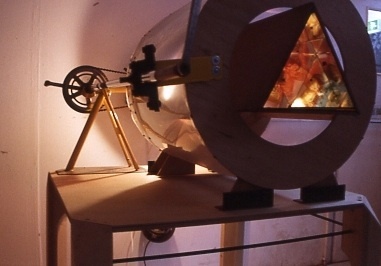 'Walk-in Kaleidoscope', by Tuba Gursoy. Made from wood, recycled metal, motor and acrylic.